2Publisher's Note: Products purchased from Third Party sellers are not guaranteed by the publisher for quality, authenticity, or access to any online entitlements included with the product. 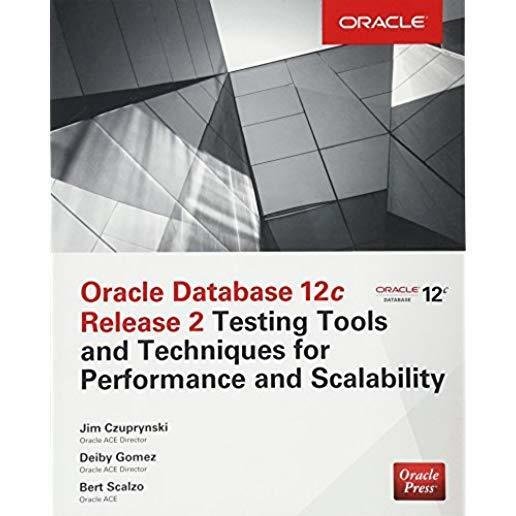 Seamlessly transition to Oracle Database 12c Release 2 and achieve peak performance using the step-by-step instruction and best practices contained in this Oracle Press guide. Written by a team of Oracle ACEs, Oracle Database 12c Release 2 Testing Tools and Techniques for Performance and Scalability clearly explains how to identify, investigate, and resolve performance issues. You will discover how to use troubleshooting tools and test rigs, optimize code and queries, evaluate database performance, perform realistic application testing, capture and replay actual production workloads, and employ Oracle Database In-Memory.